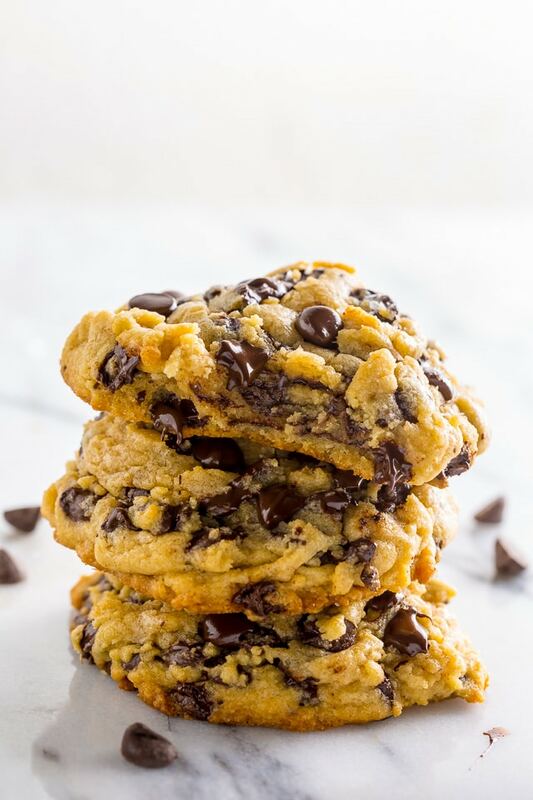 Everyday Chocolate Chip Cookies are thick, chewy, and LOADED with chocolate in every bite!!! For a while now I’ve been on the hunt for the perfect everyday chocolate chip cookie. Not so much a cookie that should be eaten everyday – although that would be sweet – but more of an everyday chocolate chip cookie that appeals to a fearless baker as much as it does to a quite terrified one. A chocolate chip cookie that my picky pants toddler of a niece will devour as quickly as my bosses fancy friends. A cookie that doesn’t need days on days parked in the fridge trying to develop personality and charm. Not that there’s anything wrong with that. Ya know, it’s just sometimes I want a cookie, and I want it NOW. I’m sure you know that feeling… right? I’ve been toying with my family recipe for a few weeks now, and finally – after many very good but not quite perfect trial batches – I found the one! I totally want to eat these every day. And maybe I have been… Can you blame me?! They’re thick! They’re chewy! They’re oozing with chocolate! Did I mention the crispy edges and gooey centers? Ooooooh, and the daintiest hint of sea salt that gives enough pop for developed palates but doesn’t freak out toddlers!? Yeah. It’s all there. If you’ve never browned butter before, don’t worry, my friend! It’s SO darn easy. You’ll need a saute pan, some butter, and a touch of patience – that’s it! You’ll start off melting the butter; once the butter has completely melted, you’ll continue to cook the butter, on medium heat (or medium-low if your stove top runs hot), until it’s turned a golden brown and smells slightly nutty. Just be sure you stay stove side once the butter has melted; brown butter can turn into burnt butter very fast. Don’t over bake! Your chocolate chip cookies should be set at the edges, but still quite soft in the center. Be sure to allow the chocolate chip cookies to cool on the baking sheet for a full 10 minutes before transferring them to a cooling rack. They need the 10 minutes to firm up so they don’t fall apart as your transfer them. If you’d like your chocolate chip cookies to look like the ones you see in my photos, simply press a few chocolate chips on top of each cookie right after they come out of the oven. You can also sprinkle them with sea salt! 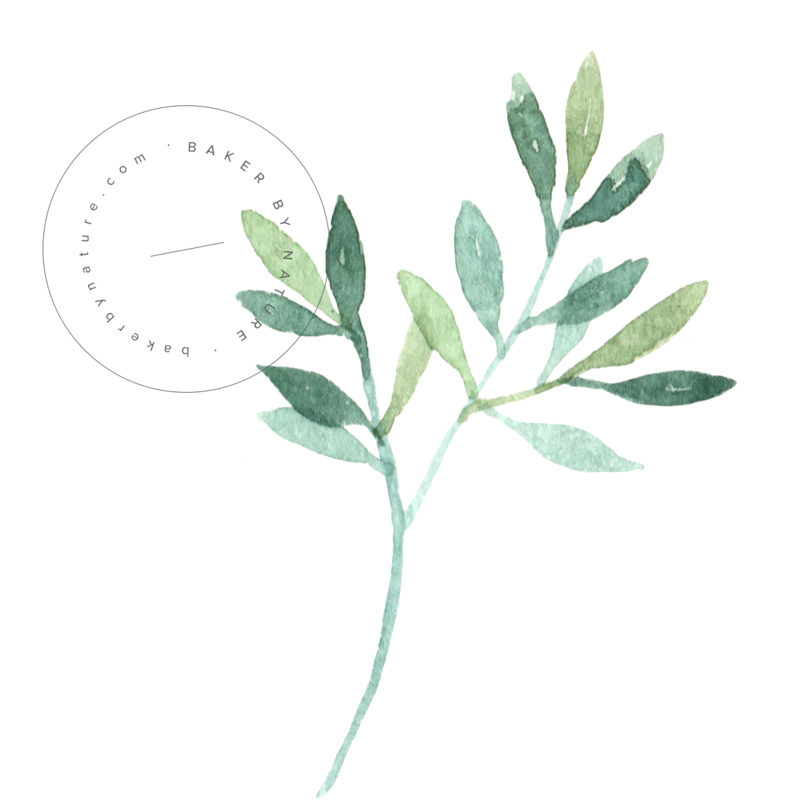 I love Maldon sea salt because it’s flaky and delish. We brought these chocolate chip cookies to our beach house a few weeks ago and the kids (and adults!) finished them in a matter of hours. 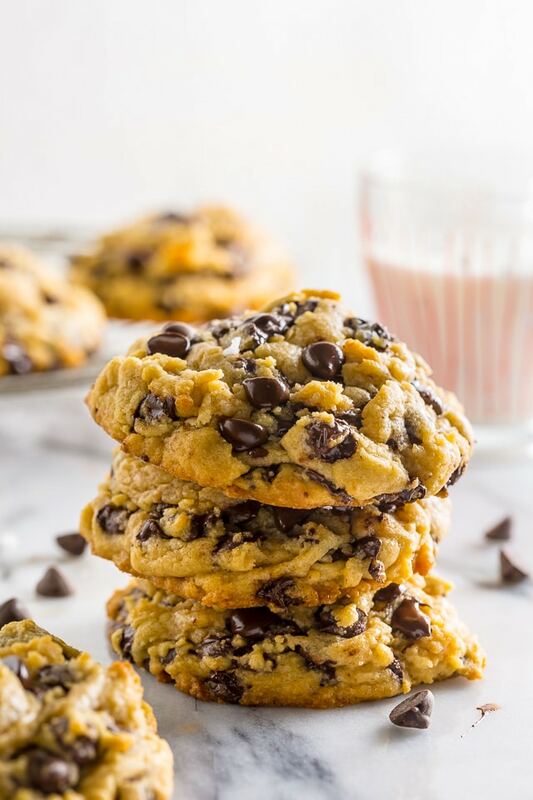 These chocolate chip cookies are teenager, toddler, and mother-in-law approved… and that is, well, that’s saying a lot! 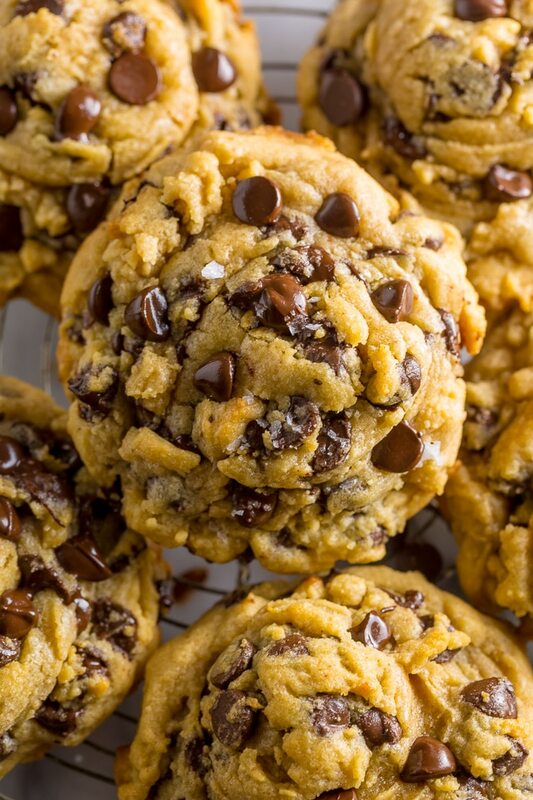 The VERY BEST Chocolate Chip Cookie Recipe! Place the butter in a small sauce pan over medium-high heat and cook for about 2 minutes - stirring almost constantly - until the butter has completely melted and lightly browned. Remove from heat and scrape butter (and any brown specks) into a heatproof bowl. Place the bowl in the refrigerator and bring the butter back to room temperature; this will take about an hour to an hour and a half. Preheat oven to 375 degrees (F). Line 2 large baking sheets with parchment paper and set aside. In a medium sized bowl whisk together the flour, baking soda, and sea salt; set aside. In the bowl of a stand mixer fitted with the paddle attachment, add the chilled brown butter and both sugars; beat on medium speed for about 2 minutes, or until light and fluffy. Add in the vanilla and beat smooth. Add the eggs, one at a time, beating well after each addition. Turn the mixer off. Gently fold in the flour mixture with a wooden spoon, stirring only until the flour begins to disappear. Fold in chocolate chips. Roll 3 tablespoon sized balls of dough between your palms to form a ball (they should be big; almost a 1/4 cup), then place on prepared sheet (make sure to leave enough room in between each cookie for inevitable spreading). Continue this process until all the dough has been rolled. Place baking sheets in preheated oven - one at a time - and bake for 10 to 11 minutes, or until golden at the edges but still soft in the middle. Let cookies cool for 10 minutes on the sheet before transferring to a wire wrack to cool completely. There is nothing quite like the perfect chocolate chip cookie. These look fabulous with that perfect mix of crispy outsides and gooey centres. Yum! Now you’ve got me craving cookies! PS. If you find the perfect ballet flat, let me know. I’ve been hunting for a pair for ages! To me the perfect ballet flats are Crocs brand. They are extremely comfortable and light weight and cute. They don’t leave blisters on my feet. You can find them for pretty good prices on Amazon! Hi Patty! I am so ordering a pair today – a girl can never have too many reliable shoes 😉 Thanks for the advice. Oh how perfect!! I love a good go-to recipe for chocolate chip cookies. I’ve been playing with my grandmother-in law’s chocolate chip recipe for a month and I just shot photos for a blog post last night lol! PS: Have you tried Aldo’s for ballet flats? What a better world this would be if we all had one of these everyday chocolate chip cookies – every day. Another glaring example of the simple things in life being the best as well. These look fantastic!! I’m with you on the ballet flat search, and determined to find them before Labor Day! Just ordered two pairs from J.Crew…we’ll see how they work out. Let me know if you find a winner! 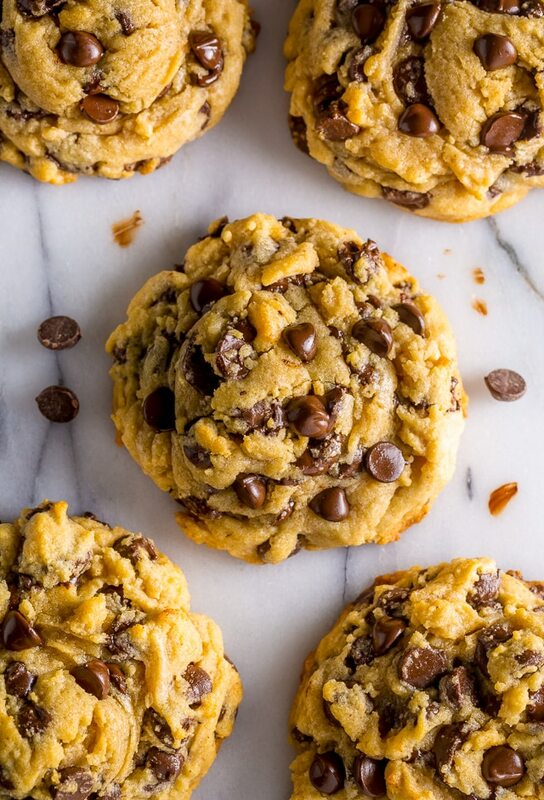 Chocolate chip cookies are my go to fave…..these look perfect! I need to make these. RIGHT NOW! Mmmmm, ahhhh chocolate chip coooookies soo heavenly!!! Love these ones girly! Well great…now I want a chocolate chip cookie….or a dozen. It’s totally fine. Everyone should have their perfect chocolate chip cookie recipe, I think. These look spectacular! 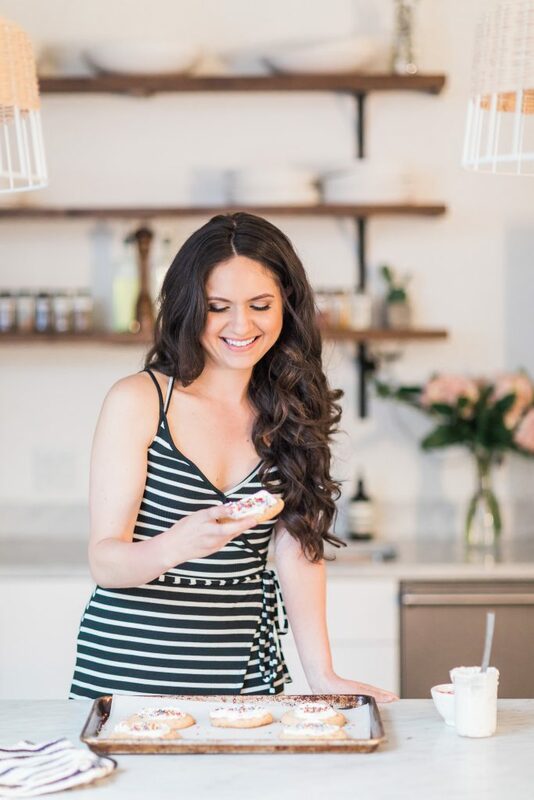 Love this recipe, girl! You have certainly done your homework. The ratio of brown sugar to sugar is spot on as is using the 3 types of chocolate chips by Ghirardelli (I think you used this brand by looking at your photos), varying in size, and melted butter is key. (It’s the same way I make my chocolate chip cookie dough and you can see the photo in my Flickr stream. Great minds and palates think alike!) Cannot wait to try your recipe, Ashley. Thanks for sharing! I totally hear you about wanting a cookie and wanting it now! I have been craving chocolate chip cookies, nothing more, just good ol fashioned cookies.. definitely going to try these! I can’t wait! I could totally eat these every day!! YUM!!! They’re beautiful. And I wish I had a dozen in front of me. Nailing the perfect choc chip cookie recipe and getting it exactly the way YOU want it is such a major feat. Congrats 🙂 Pinned. I could and would, now will eat these everyday! Have a go-to cookie recipe is a must and yours looks perfect!You have inspired to me to try and perfect my moms recipe!! But first I will make these because they look perfect to me! Ok, I’ve been fighting my urge to make chocolate chip cookies for about a week now and this settles it – I need to make a batch. These look pretty darn fabulous! I love chocolate chip cookies and am always looking for the perfect recipe. This looks amazing and like something I need to bake right now! Oh I totally understand when you mention wanting a cookie and wanting it now. I’d like a dozen of these, please! i can’t wait to try this! Thanks for posting!! Need brown suuuuuuuuuuuuuuuuuuuuuuuugaaaaaaaaaaaaaaaar GAH I want these in my face, looks good. Can’t wait to try it out. Unfortunately I can’t go shopping until tomorrow 🙁 Boo. Thanks for the recipe! I just made these. O.M.G. BEST COOKIES EVER. Did you use bleached or unbleached flour? Also, mine were very gooey when finished mixing. At 375 and 10 minutes they were flat and burned. Any suggestions. Should I have refrigerated dough before making balls? Hi Maureen. Your dough was gooey? Hmm… My dough has never been that way before baking. I used unbleached flour. My batter turned out gooey as well. I used white flour, regular salt, and only milk chocolate chips. I don’t know if that made the difference. It wasn’t what I wanted but they were still good cookies. Hi Shonta. Did the cookies turn out, though? You can always chill the dough for a little while if it’s “gooey”. My batter was also initially very gooey but I noticed as it sat there it seemed to get better. My cookies still did not turn out good though. I tried baking them for less time, turned the temperature down but they all turned out overdone and had a weird shiny surface. So disappointed since the batter tasted amazing and the pictures in this post look like the perfect cookie. Hi Mandy. Turning the oven down definitely won’t help the cookies come out. I’m not sure why your batter was initially “gooey”. The dough should be soft but scoop able. I am going to remake this recipe this week and see what’s going on. I run my own cookie business and so far I have been getting very pleasurable responses from my customers but I still feel like I need to fix the cakey texture of my cookies. The minimum order that I take is 12 cookies and I really want to know how many cookies this recipe makes? Hi Rukaiya, this recipe should make 24 cookies. Thesw look amazing! Will give it a try …. just had to ask about the butter … is it leveled tablespoons or heaped? I measure the tablespoons by the stick (8 tablespoons = 4 ounces). I just made these and they were AMAZING! My dough was not gooey at all. Soft like cookie dough should be. Also, had to let cookies rest a few minutes to firm up, but after that, wow. My new favorite cooke. I just made these and my dough turned out gooey too…BUT the cookies were amazing!!! The longer the dough sat, the better. The dough was soooo yummy too. My new favorite recipe! I think I may have figured out where the “gooey” nature of these cookies are coming from!! My cookies turned out very liquid-like as well, and at least for me I realized that I completely misread the directions! It was partly due to not reading through a comma, another part for not correctly looking at the actual ingredients. Instead of using 1 cup milk chocolate chips, I stirred in 1 cup of milk… I’m kicking myself now for making such a silly mistake, but realize that I confused myself by reading “Fold in MILK, bittersweet, and dark chocolate chips.” Then when I looked at the ingredients I was like “wait, what milk?” “Oh, there above the chocolate chips.” TOTALLY missed the “chocolate chips” after milk. No fault of the recipe’s at all, but that might be where others have led themselves astray as well. Maybe change that one instruction line to “Fold in all 3 types of chocolate chips” and that might save others from a similar mix up? I was also led here via your “Flawless Chocolate Chips” post from Foodgawker; the photos for those cookies were, indeed, flawless!! After trying many cookie recipes, This is my favorite cookie recipe by far! The browned buttered takes it to a different level. Thanks for sharing! Hi Reeree, I am SO happy to hear that!!! These cookies are outstanding! I’ve never browned the butter before and wow, does that ever make a difference! I was out of vanilla so omitted that and they are still good. Also I used semi sweet and milk choc chips as those were what I had on hand. The only thing I had to change was to bake for 10 min as 11 min were just the slightest bit too brown. Taking them to my colleagues as a treat right now. Thanks for the delicious recipe! I have made this recipe twice already so I HAD to blog about it! Trust me, I am singing this recipe’s praises. I’d say this is the holy grail of all chocolate chip cookies. Hi Shelby. That’s a great point. I hope your cookies turn out ok. Sorry for the confusion! I Jus Made These And They Are DIVINE! Thanks For Posting This Recipe! These cookies look so good. I bought ingredients for another recipe without looking at the reviews and they weren’t too good :(. So, I’ve decided to try this one. But I don’t have all of the ingredients. I have light brown sugar instead of dark brown, I only have milk chocolate and semi sweet chocolate chips, I don’t have sea salt( just regular salt ), and unsalted butter instead of salted! So, will what I have make them taste any different? Or can I just use what I have on hand? Hi Jasmine. The cookies will taste slightly different if you’re not following the recipe. But I think the changes you’ll be making are so slight it should work. Just add a touch more salt to the recipe, and use the sugar and chocolate in equal amounts to the original recipe. Enjoy! Have you changed this recipe since last year? I don’t remember it calling of bringing the butter back to room temperature. I didn’t do that last year and they turned out great. That took a lot of time when I made them again this year following this version and they didn’t seem as gooey as before. These are in the oven baking as I type this!! I read all the comments before I started, to make sure my batter wasn’t gooey. In the end, I was not able to roll the dough into balls because it is a bit too runny for that. I tried and it just drips through my fingers lol I went back and looked at the recipe and I don’t see any mistakes that I made. I did see that some people used bleached flour. I use the White Lily All Purpose bleached flour. I wonder if that makes the difference? Hi Amanda. Did you cool the butter until it was semi-solid/ at room temperature? The batter is definitely not gooey. You did add milk or any liquid did you? dont know if you’ve found those ballet flats yet but Hush Puppies makes a cute classic ballet flat that comes in several colors and is VERY comfortable. Hi Alyson! I’m always on the look out 😉 I’m going to check them out asap! Thanks! While waiting on my sweetie to finish speaking with the pastor, I was on Pinterest looking at food. This picture came up and I thought to myself “this looks like the perfect chocolate chip cookie”. He got in the car and saw the pic and we went to the store so I could bake them. A few hours later, I must say…these are DELICIOUS!!!! I have the PERFECT cookie recipe! Thank you lady! They are soft, gooey, and just…ugh, awesome. I used pecans, milk chocolate, and white chocolate chips in mines. Next time I’ll use semi-sweet to balance the sweetness. But other than that. Awesome recipe! Hi Ashleigh! What a great cookie story 🙂 I’m so happy you found these cookies – they’re my all-time favorite! My daughter is in her room studying like a maniac and her request was for some chewy choc chip cookies. I’m going to follow the instructions for yours later today. Thanks so much for posting. One thing – I’m in Australia – and we use metric measurements. It would be great if you would be able to put weight measures rather than cups or tablespoons – that way the recipe can translate perfectly. Just for future! These are actually the best recipe I have ever tried. These cookies looked so awesome but mine didn’t come out anything like them. Mine are cakey and look like they have elephant skin. I followed the recipe to a T. Could it be I whisked too much? I did all my mixing by hand. The butter/suggars I whisked until they were silky. The raw batter was delicious but the cookie is not goey at all. Any help will be appreciated because I want to try this again and get it right. Hi Valeriej. Can you describe more on what you mean by elephant skin? I’ve never made these, but I’m reading the comments, and it doesn’t really make sense to me how people could end up with runny batter if the only “liquid” ingedients eggs, vanilla and butter (although you bring the butter back to room temperature). My guess is maybe those people used extra large eggs instead of large, I know that can make a big difference sometimes. Another guess… is the dark brown sugar supposed to packed in the cup, or no? That would make a difference as well. Usually, if a recipe doesn’t specify, I pack the brown sugar when measuring. If that’s what you’re supposed to and some people aren’t doing that, I would think that could cause the dough to be stickier as well. Gonna bake these tonight and have my cousin who’s coming over try them halving the recipe though. Can’t wait to try them! Okay, I just made these tonight and…HOLY. CRAP. These are the most delicious and homey cookies I have ever tasted. They are gooey, buttery, chewy, and are bountiful with decadent chocolate chips. The cookie dough was not gooey for me at all, it was actually quite malleable and easy to handle. I did freeze the brown butter mixture for 30 minutes instead of refrigerating for an hour or more.it was like a thick, cold paste when removed it from the freezer,. I folded it with a spatula and popped in in the microwave for 5 seconds, and was smooth and thick, not hot but not cold. Maybe that made a difference for others, it is possible that the butter wasn’t refrigerated for long enough. I used around 2 tbsp. of dough, and baked them for 10 minutes exactly. My homemade cc cookies have always come out puffy, hard, flavorless, cakey, or just not right. These are the perfect chocolate chip cookie. Hands down; the rich flavor of the browned butter doesn’t overwhelm the dark chocolate, but rather compliments it and combines to create the best flavor profile I have ever had. For anyone who is scouring through the comments to see if these are worth your time, and most importantly, your chocolate, I’d say to do it. These are the best cookies I have ever had, and will be my go-to recipe from now on. I have been using a modified version of the ny times chocolate chip cookie recipe up until I found this recipe. It tastes amazing the same day and after letting it sit for 24 hours. Its perfect as an everyday recipe and I can’t thank you enough for sharing it. I also have to mention that you can get this completely wrong and it still turns out amazing. I added a 1/4 tsp espresso powder and didn’t let the butter get to a soft solid. I also added the eggs in cold and baked at a starting temperature of 375 before immediately dropping down to 350 and baking for 14 minutes. Still perfect. These cookies are seriously amazing! It tastes like a McDonald’s style cookie or bakery style, but you can definitely tell they are homemade by the rich flavor of the browned butter. I’ve made these twice, and they are amazing. Gooey, chocolate-packed, AMAZING cookies. I’m fifteen and I love to bake, these cookies will be my go to at any potluck, meeting, or just a Friday night in. THE BEST COOKIES EVER. Don’t question it, if you’ve ben looking for a reason to make these, this is your sign! The ratio of everything is perfect, i refridgerate the dough before baking and it comes together perfectly. NO hassle, for such amazing, classic cookies! What would measurements be for a dozen cookies? Thank you for this recipe! These are seriously thinnest cookies I have ever had or made. Will definitely be saving this recipe! What type of baking sheets do you use for your cookie recipe? I made these yesterday – delicious! I did want to just clarify with regards to the chilled brown butter. Does it need to come back to room temp after being chilled and before adding to the sugars? I added mine chilled yesterday, but when I re-read the instructions I was a little unclear. Thanks! So I like whole wheat flour and coconut sugar for my cookies. Will it kinda taste same as this recipe?